Hey folks! 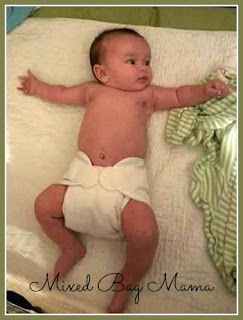 Did you know there is such a thing as newborn cloth diapers? I didn't with Myka until she was already too big for them, so if you are like me, now you know! I wanted to give some a try with #2, but not have a full on “stash” like some people. 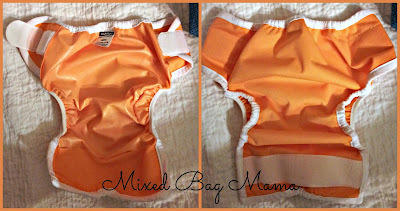 It's definitely personal preference whether you want to go with newborn diapers for the first few months or just try one size diapers, but I thought I would share my experience with our Thirsties extra small (6-12 lbs) covers if you're considering purchasing (or borrowing) some newborn diapers. Thirsties covers have a lot of great features and are very similar to the Best Bottom covers we already use...Which makes me wonder why we hadn't tried them sooner! Plus, they are actually cheaper for the same quality, in my opinion. I found that the sizing was very true to size. Like I said above, we had the extra small covers, which are meant for babies 6-12 pounds. We used them until Ripley was almost 3 months old and, in all reality, probably could have used them for a bit longer. Both the PUL fabric and aplix fasteners seem very durable and strong. (I can't help but wonder sometimes if I just forget how strong new aplix is because it's usually a long time in between me buying new diapers.) The PUL is nice and thick so you don't have to worry about leaking. We, of course, used prefolds and flats in these and I didn't find them to be too bulky, even though the diaper itself is so small. (Read: tiny and cute. ;) ) Play around with folding them different ways that work for you and it's a very cheap way to cloth diaper! If you didn't read my review of Best Bottom diapers, I love, love, LOVE double gussets on cloth diapers because they help to keep poosplosions in so well! I have found, in general, that even if the leg gussets get soiled some, it somehow stays off clothes most of the time. And you sure as heck don't have to worry about blowouts like you do with disposable diapers! My other favorite feature is that you are able to wipe these down with a cloth between uses so long as they're not soiled. I love this because 1) I'm cheap. 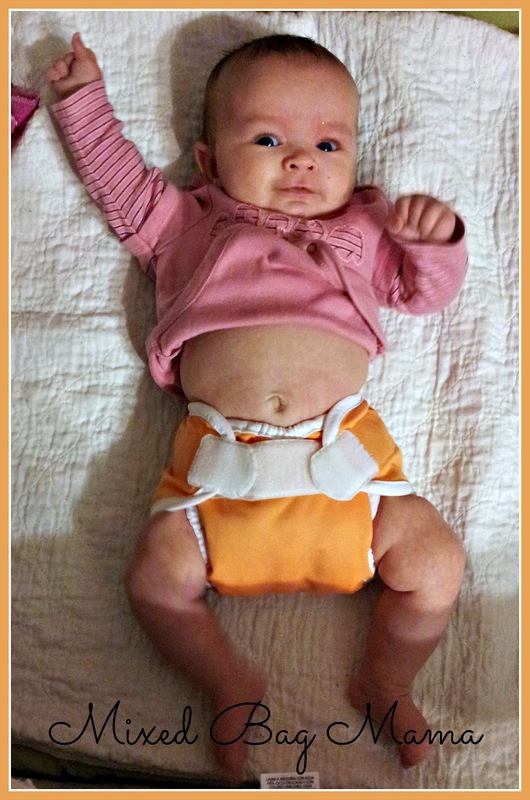 Cloth diapers are cool and all, but that doesn't mean I want to or am able to buy a ton of them! 2) It means less laundry as well. You can take all the help you can get with that when you have a baby, amiright? Oh! I almost forgot! Since these are made for a weight range of 6-12 pounds, the extra small size comes with the umbilical cord cut out. It may not seem like a big deal, but you don't want that thing getting dirty or squished and uncomfortable for baby. Plus, that's half of the point of buying a specifically sized newborn diaper, right? Thirsties products are proudly made in the U.S.A. They don't sell just covers, either, so be sure to check out all of their diapers and diapering accessories on their website. They even just came out with a Natural One Size All in One diaper! What is your favorite Thirsties diaper? I am not affiliated with Thirsties or any other brands mentioned in this review. All products were purchased by myself and opinions may differ from your own. I had no idea they made cloth diapers for newborns! This is pretty amazing, I'll have to go spread the word! Thanks for sharing and linking up for some #mommatime! I've never cloth diapered my kids but those cloth diapers look real nice! I probably should have now looking back. I could have saved a fortune! 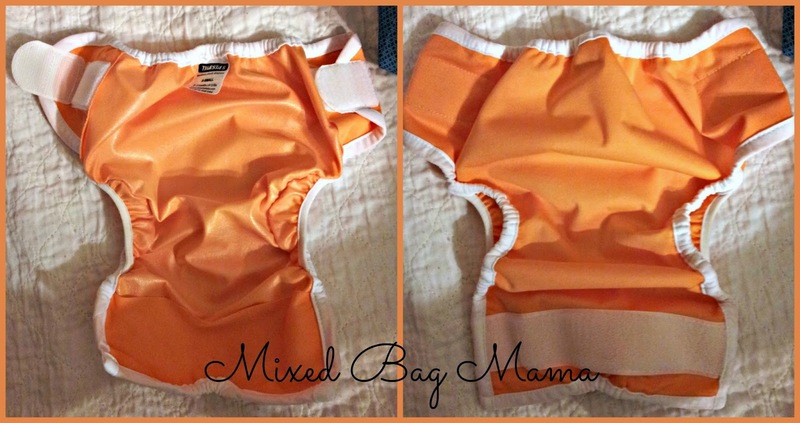 I don't use cloth diapers, but this sounds so interesting! The orange things are the outside cover, right? What do you put inside the orange things? I used cloth when my son was a newborn. And we had some Thirsties. Actually, I still have some bigger ones. I was very happy with them! Great review!